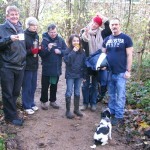 We were long overdue a spot of tidying up in and around the wood so we met today armed with brooms and bin bags. There wasn’t anything exciting found amongst the litter this time but we filled a few bin bags. Cllr Stephen Govier set to work with the broom clearing the paths of leaves. It made a huge difference to the wood looking walk-able but we had to take care not to sweep away the material that the path is made of. 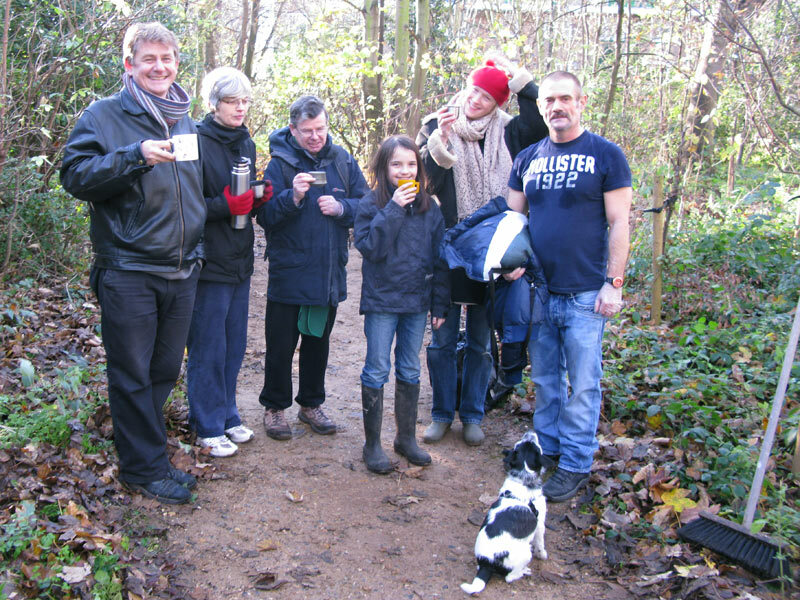 It was a freezing cold day and we warmed up at the end with a cup of tea from the thermos.